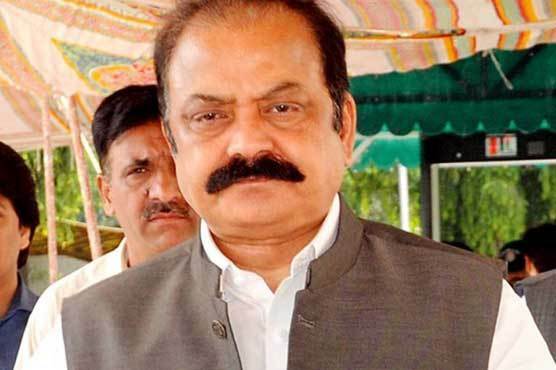 ISLAMABAD: The National Accountability Bureau (NAB) has initiated investigation against Pakistan Muslim League-Nawaz (PML-N) leader and former Punjab law minister Rana Sanaullah Khan. The probe against Sanaullah pertains to alleged tampering of the map of an underpass in Faisalabad to benefit his favoured people. According to details, Rana Sanaullah as provincial minister got map of the underpass tampered with which caused a loss of millions of rupees to the national exchequer. On Thursday, NAB approved an inquiry against former minister Nisar Ahmed Khoro and Sukkur food department officials over alleged corruption. An Executive Board Meeting (EBM) of the anti-graft watchdog was chaired by NAB Chairman Justice (r) Javed Iqbal where he approved 16 inquiries and filing of two corruption references. The EBM also authorised inquiries against Pir Sabir Shah, former MNA from DI khan, officers of the Department of Revenue, Dera Ismael Khan and others, and Brigadier Waqar, MD, National Telecom Corporation. Three inquiries were approved against Zahid Mir, Acting Managing Director of Oil and Gas Development Authority and its management. Inquiries were initiated against Sharjeel Inam Memon, MPA, Abdul Karim Soomro, MPA, Sardar Qaiser Abbas Khan, Sardar Nasir Abbas Khan, Sardar Lala Khan, officials of Department of Revenue, Chaubara Layyah and others. of CDA, CADD, officers of Lakhra Power House, Jamshoro and others are also among the accused in the inquiries.